Behold, here is the very picture of beekeeping success: Charles Frederick Gee, who won the Hamlin Cup at the National Honey Show in 1932. 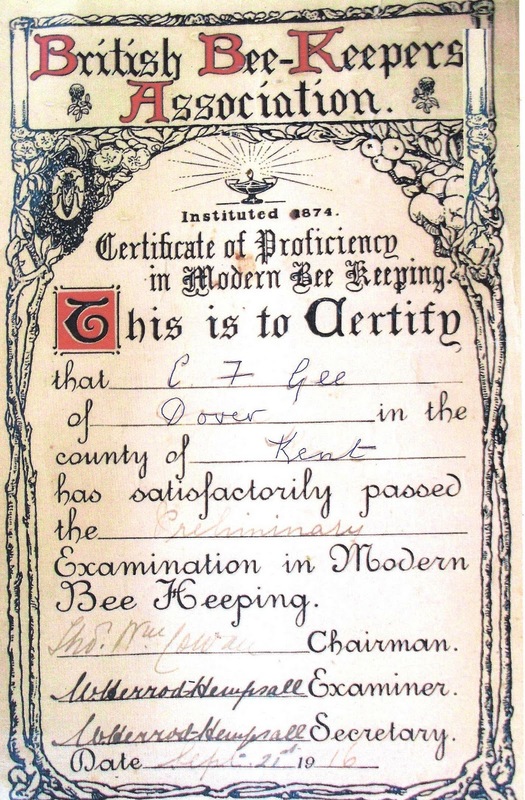 Though he emigrated to New Zealand, where this picture was taken, he originated from Dover, as his DDBKA exam certificate from 1916 proves! To this day, the Hamlin cup is one of the most sought after and prestigious awards. 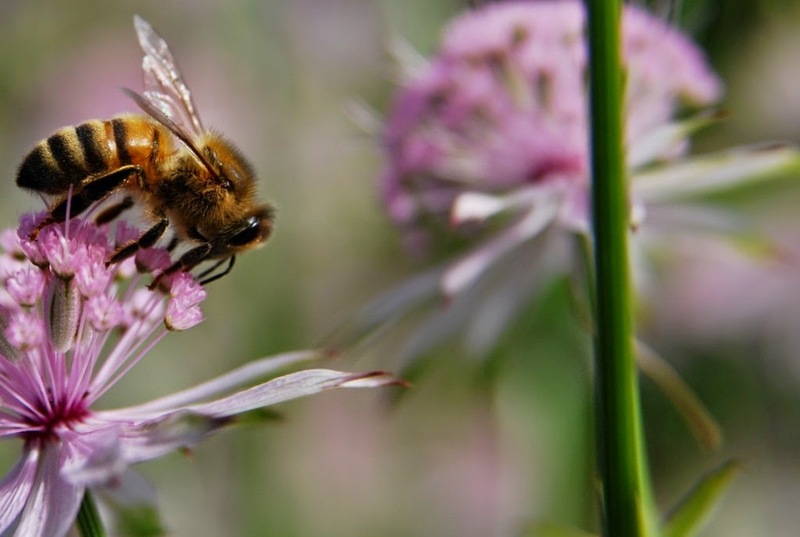 There were 243 classes in this year’s National Honey Show and the Hamlin Cup goes to the winner of class 1 - twenty four jars of honey which may consist of one, two, three or four kinds. It is a very difficult thing to do well. In the year prior to C.F. 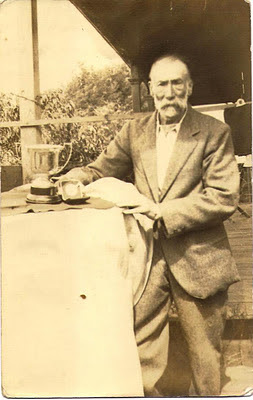 Gee, the recipient of the cup was R O B Manley, a highly important early 20th century beekeeper. Hopefully this will inspire you all and someone will take up the challenge and bring home the cup to the DDBKA once again in the near future. This story comes to us courtesy of Bob Maurer's correspondence with C.F. 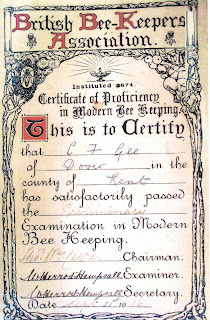 Gee's granddaughter Ana, who still resides in New Zealand and the kind help of top honey judge Mike Duffin, who searched his archives for confirmations.